Cooper Lighting Sure-Lites® CX Series self-powered LED exit sign features white die-cast aluminum housing for durability. The EXIT legend is illuminated by red and green LED lamps. It has a dimension of 8.68-Inch x 12-5/8-Inch. 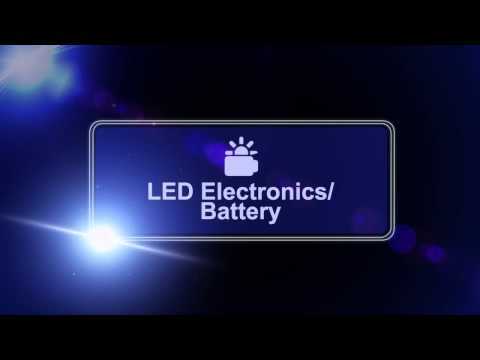 The 0.98 - 1.09-Watt LED lamp has 120/277-Volt AC, 0.07-Amp at 60-Hz rating. The single face exit sign has sealed nickel cadmium battery with a runtime of 90 mins and a lifetime of 7 - 9 years. 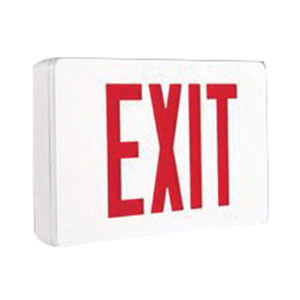 The surface mount exit sign is UL listed and meets NFPA/NEC/OSHA standards.